I dreamt the other night that I looked out the window in the morning and discovered we had an early snowstorm. Everything was covered in glittering deep white drifts, and I was furious. This is the year, of all the autumns I have documented since 2008, that I expected people to have to face the fact that something is really, profoundly, inescapably wrong with the trees, and now it was to be ruined by snow - just as last year, everyone was distracted by the Sandy non-hurricane, which was blamed for millions of falling, rotted trees and weeks of lost electricity. But that was just a dream, and even now, long before even the most freakish early storm could hide the evidence, it should be getting obvious that the leaves are turning brown, not bright colors like they should, as shown in these photos from years past. 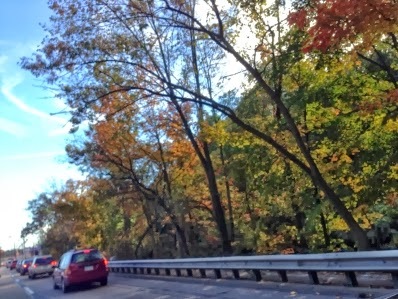 Peak foliage in New Jersey is normally the third week in October. 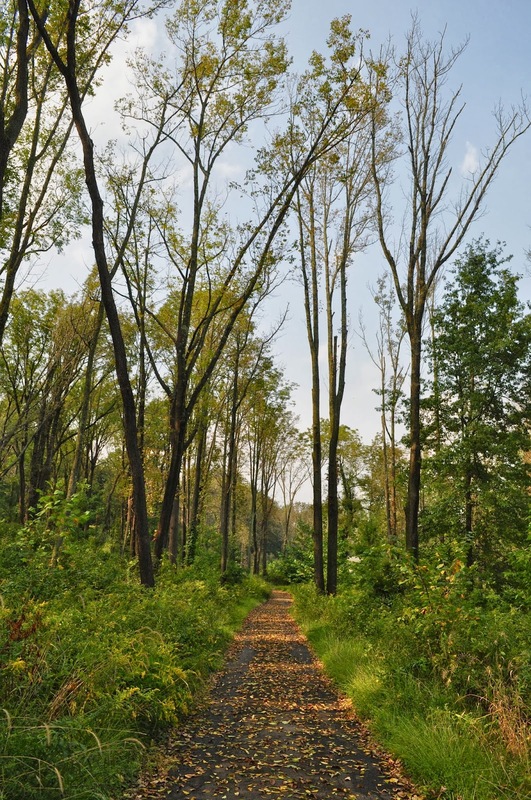 I took the photo below, of the driveway that leads through the woods to Wit's End, on September 11. It had rained the night before, and most of the leaves that were clinging to the branches fell to the ground. Last Wednesday, September 25, I took the next series. 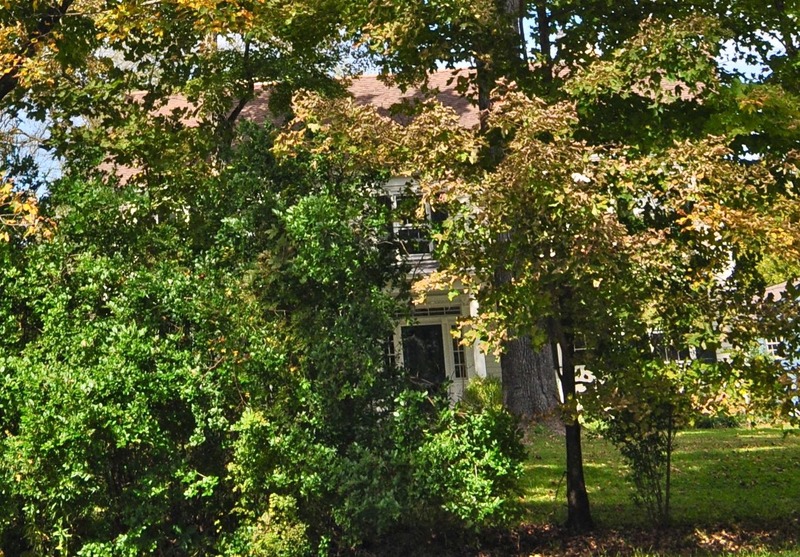 That's a very tall sugar maple, which is in front of the old farmhouse, situated on the road in front of the property. Not so long ago it turned blazing orange in the fall. You can just barely see the front door through the privet hedge to see how tall the maple is. It kind of looks like it is beginning to turn into autumn guise, but it's not. The leaves are mostly turning brown. 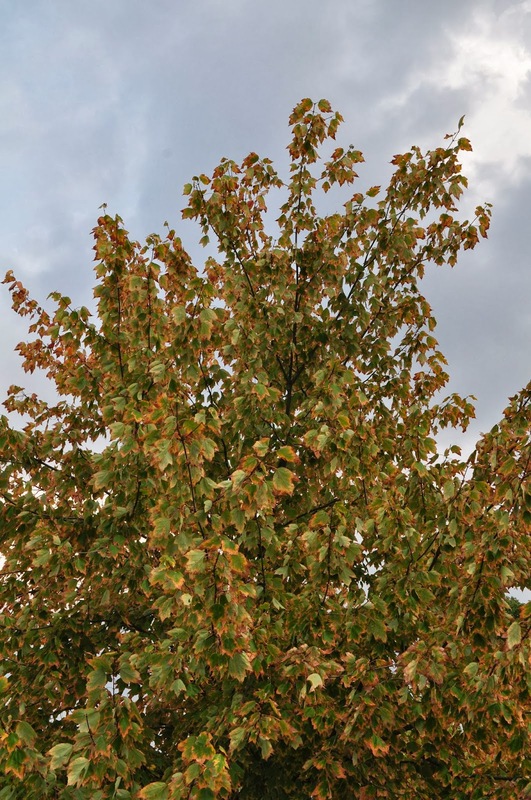 This is very important to notice, because people are taking pictures of trees turning color and posting them online, without realizing that when viewed individually, the leaves are in a positively malevolent condition. This trend started several years ago, and every season it commences earlier, and is is even uglier. The following shots were also taken September 11. 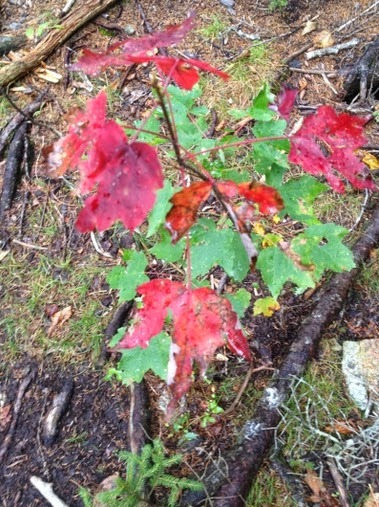 This little maple is typical of young trees. 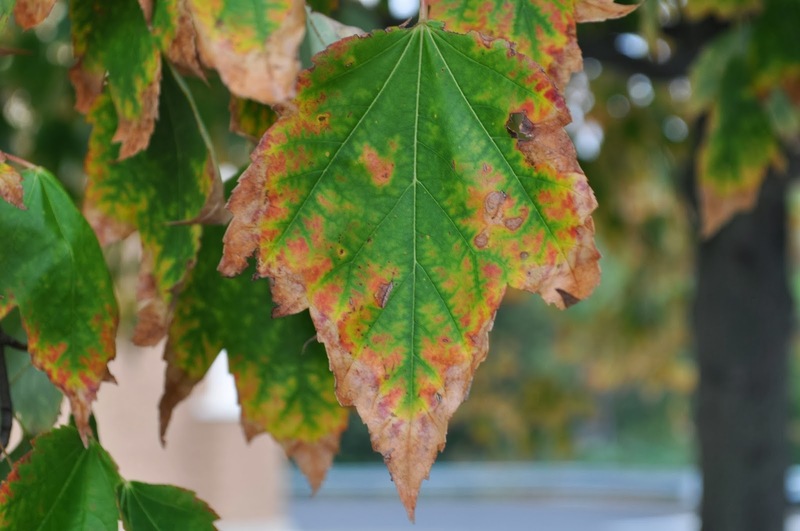 This particular one happens to be in a parking lot, but even trees being watered in nurseries have identically damaged leaves. Will people blame the lack of autumn radiance this year on drought...or heat? Only if they're crazy, or desperate to avoid the truth - because it has been a relatively cool, and rather wet, growing season in the Northeast. As the newest IPCC graph shows, parts of the world are definitely getting wetter, notably among them the Eastern US, and northern Europe - two places where trees are dying especially fast. So maybe they'll blame too much rain - anything but highly toxic tropospheric ozone! 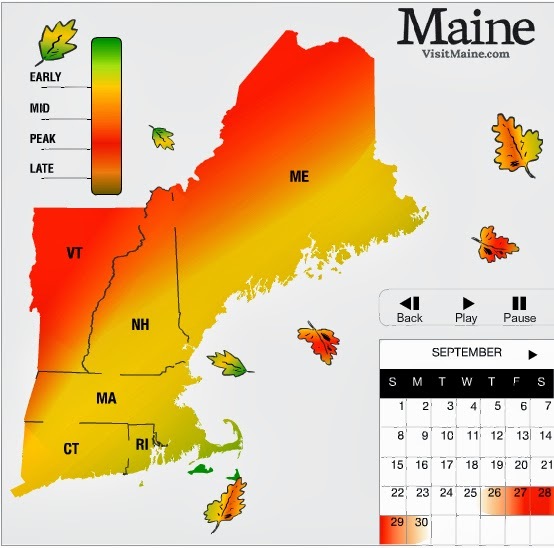 Below is a constantly updated interactive map that indicates in real time what stage the foliage has reached in different areas. (Instead of "reached" I accidentally typed reched, as in retched, which actually is a good description of my reaction to what is happening. Or perhaps wretched?) Anyway, you can click on the camera icons yourself to see photos that have been submitted by readers...or, you can scroll down where I have conveniently reproduced some choice examples along with their locations, dates and comments. If you go directly to Yankee Magazine you can zoom and scroll around too, up and down the Eastern seaboard and out to Ohio. It is something of a spectator sport for me this autumn, to see when and if anyone will actually notice that they are taking pictures of trees that are dying. Also at the magazine, you will find another interactive map which predicts, based on the past, what condition the trees will be in at different dates. When you click on the calendar and it will update the forecast. Below is the typical range expected for the days around late September, and beneath it, a screenshot of what it actually was yesterday. Below is the screenshot taken September 27. 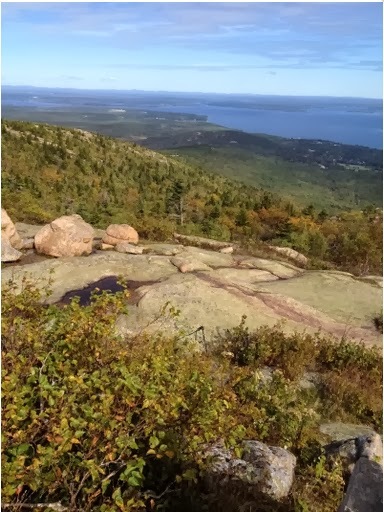 Notice that there isn't ANY peak foliage in the state of Maine yet, and I suspect there won't be much if any, because it just isn't going to peak. Following are some of the pictures of brown landscapes and bare branches and thin crowns and spotted leaves that people have posted so far, each designated as being in the category of either turning, or moderate...along with any unintentionally ironic annotations. The weather has been so pleasant I had to get out even though the trees are depressing. I decided to visit Round Valley Reservoir which, even though it is quite close by, I had never been to see. 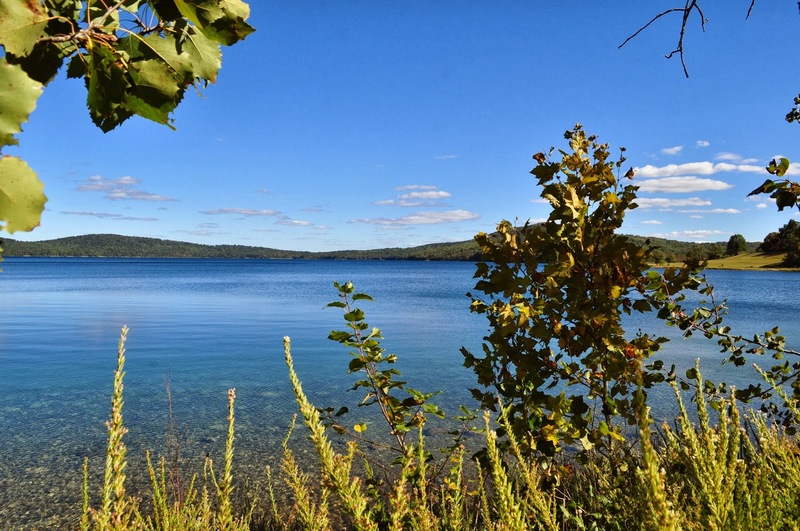 It was so gorgeous there, I felt ashamed I had never brought my kids to swim when they were growing up - which was partially because it's a man-made lake so I assumed it wouldn't be nearly as nice as a natural preserve. Because I went off-season on a weekday there was hardly a soul around, but there was one motorboat full of loudly swearing white trash morons that reminded me that the reason I never went with my children in the summer is that it is packed with dastardly speed boats making an infernal racket and stinking everything up. They should be made illegal and only canoes and kayaks allowed. 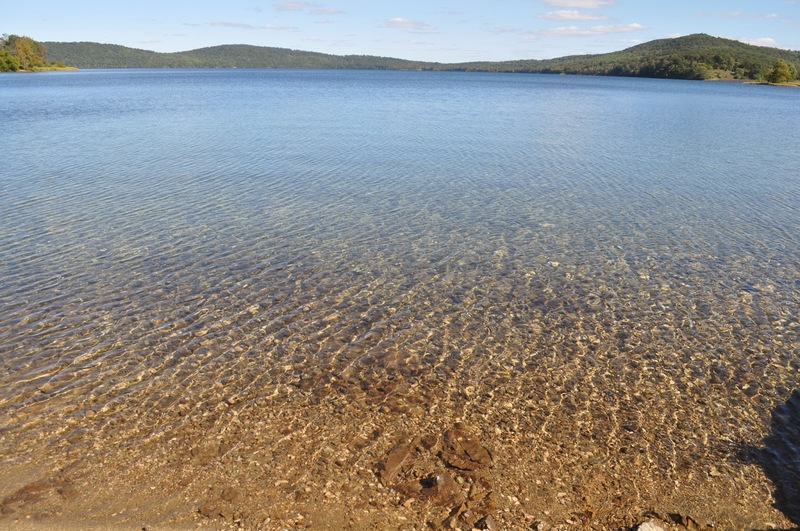 Amazingly, the water was crystal clear and it was very warm too, like a bathtub. 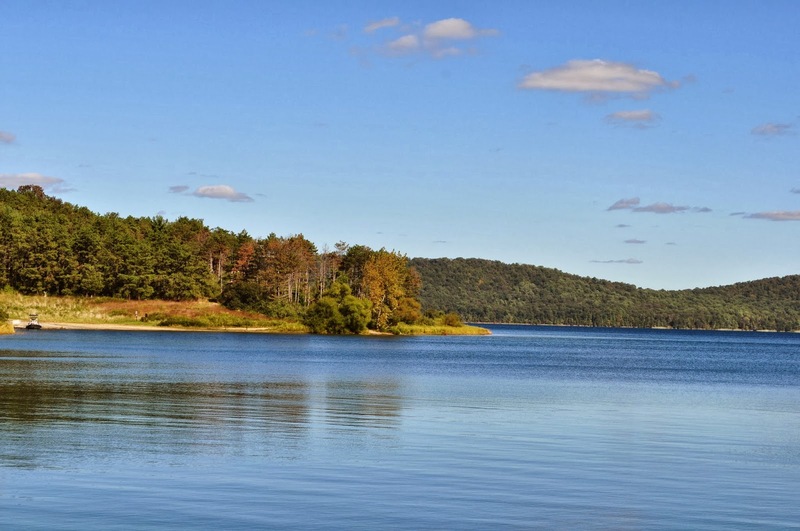 A local newspaper relates that state officials built the reservoir, over vociferous local objections, following water-shortage fears after a major drought in 1953. 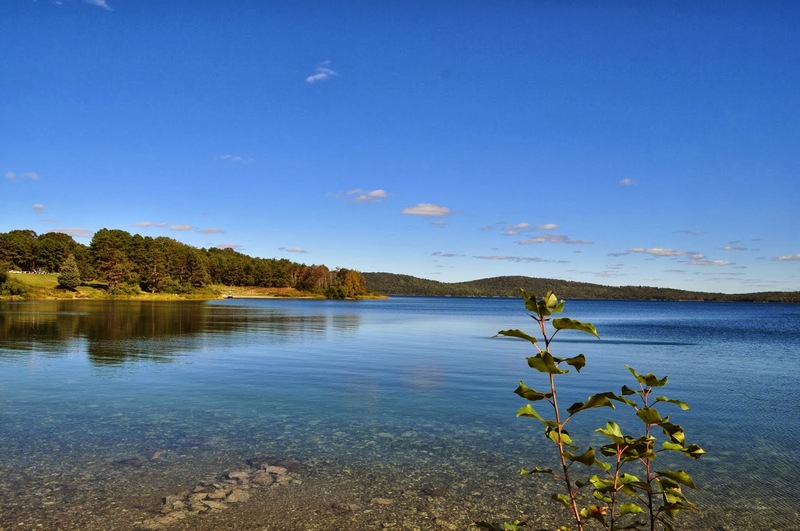 A valley where farms that had been in families for generations was cleared to make way for the 2,350 acre reservoir, the deepest lake in New Jersey, which holds 55 billion gallons. Since then, the pipeline that was meant to supply water to major cities has never been built, or needed. And we're supposed to believe it is drought that is killing trees that survived the drought in 1953 NOW? 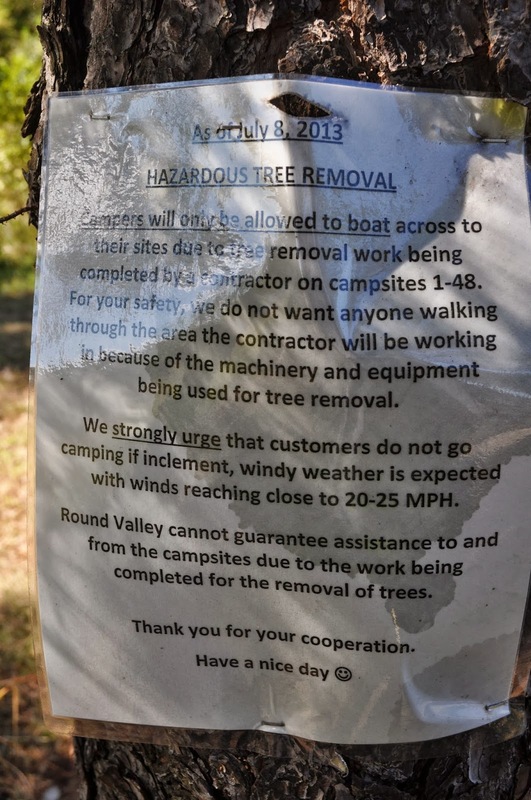 ...because I saw this amusing sign at the trailhead, warning people to stay away from a section of the campgrounds, more than half of which are closed because massive numbers of fallen trees are being removed. Not only that, it says "We strongly urge that customers do not go camping if inclement, windy weather is expected with winds reaching close to 20-25 MPH. Good grief! It's dangerous to be in the woods now when the winds are only 20 - 25 mph? When did that happen? Does anyone but me wonder WHY? Up high the leaves are scorched. The same is true for this huge tulip poplar. 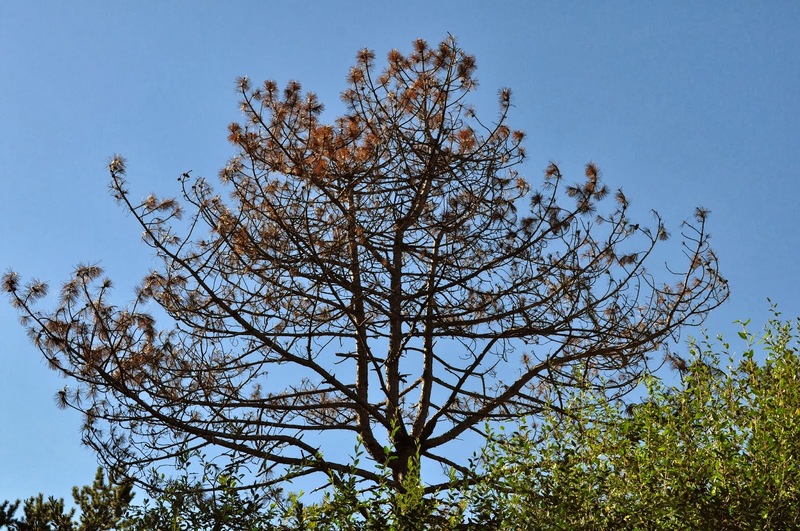 There doesn't seem to be any tree or plant that doesn't have leaves that exhibit the classic symptoms of ozone injury. It also has many branches that are bare. 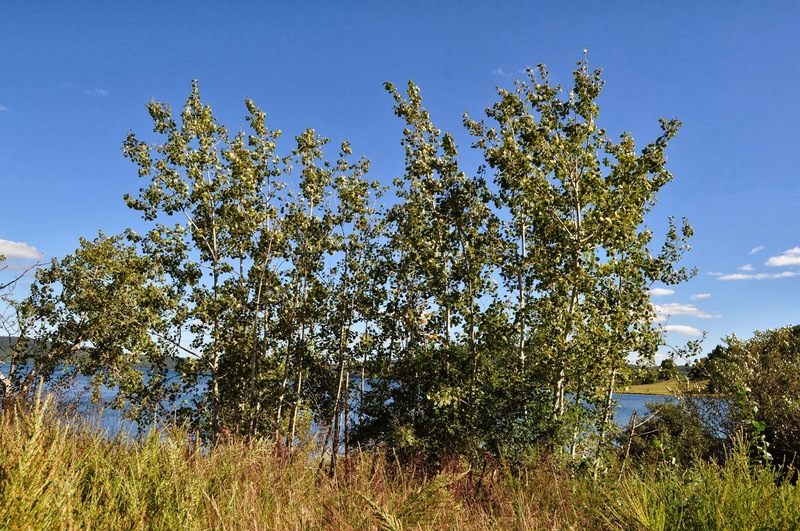 With the help of the LeafSnap Ap, I identified this cluster of young trees as Bigtooth Aspen, Populus grandidentata, a native of this area and a new tree for me. 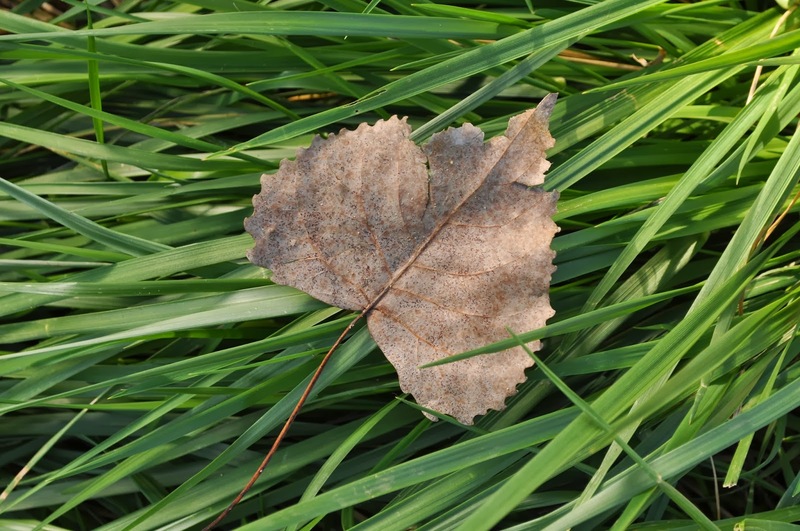 I heard them before I saw them, because their leaves were not so much rustling as rattling in the breeze. They were brittle and stiff. Damaged on both the upper and undersides. Many of them were on the ground. 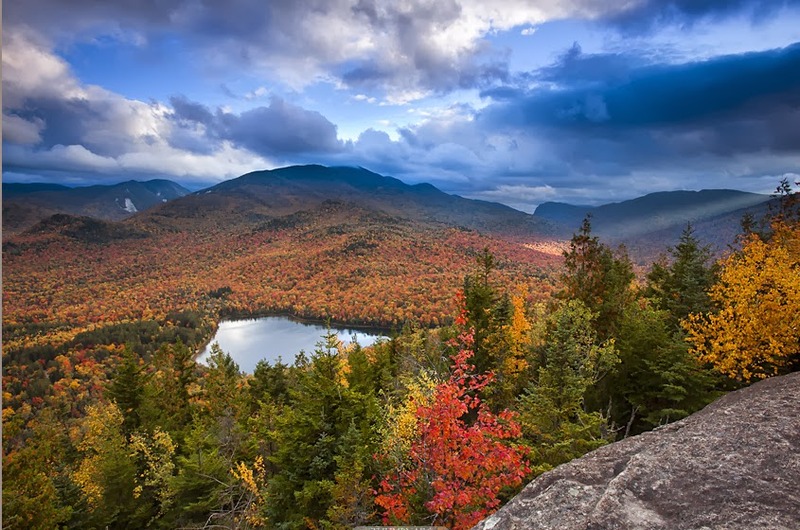 "Every year, New England and other northern regions reliably burst into a blaze of fall color. But this natural phenomenon will likely become less reliable as climate change disrupts the planet, experts say. Add those brilliant reds and oranges to the list of global warming victims." 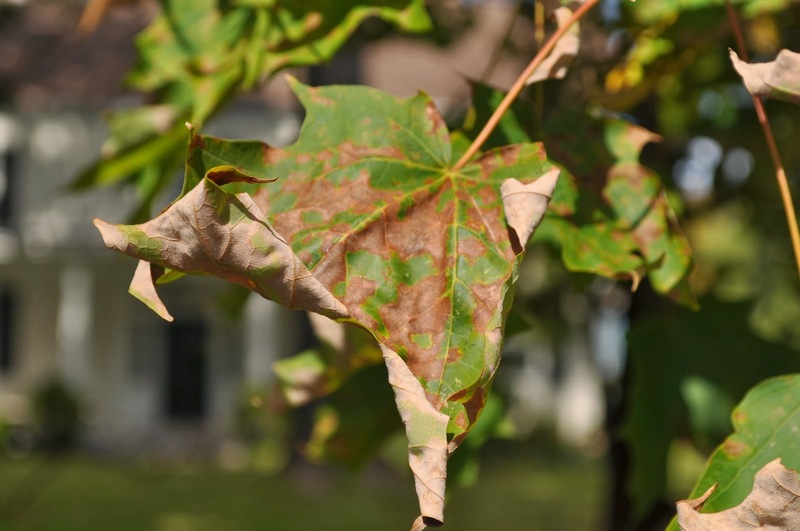 "Though climate effects are complicated, warmer weather will generally mean duller fall vistas in the United States, said Howie Neufeld, a professor of plant physiology at Appalachian State University in North Carolina. 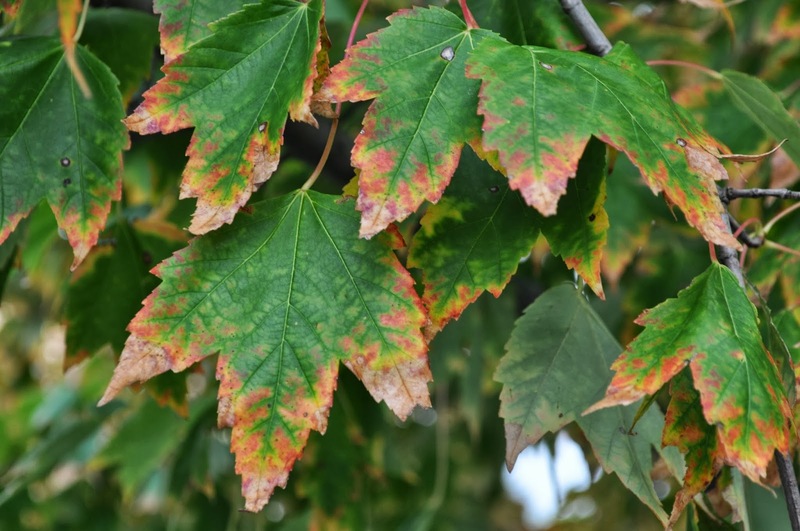 Climate change could dampen fall foliage by delaying the season, bleaching out red tones and ushering in invasive species, Neufeld told LiveScience." 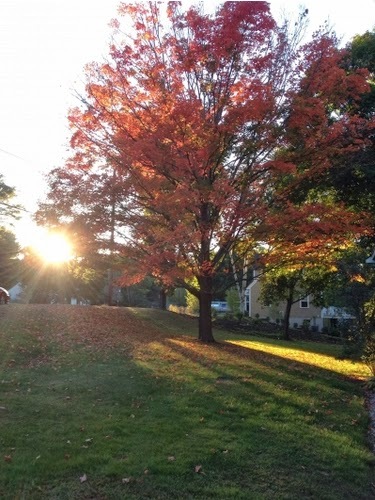 "Though pretty red leaves might seem minor compared with the more dire predictions of climate change, fall color represents a significant economic and cultural resource. 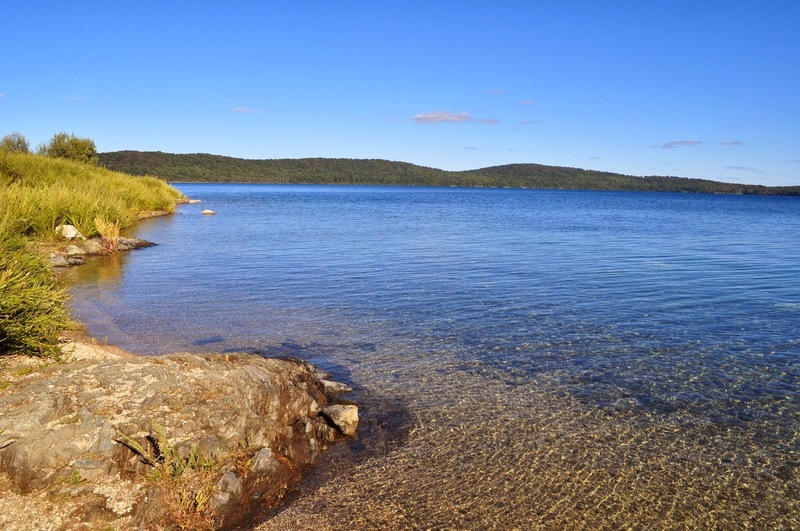 Last year, fall tourism brought over $1.5 billion to Maine alone. 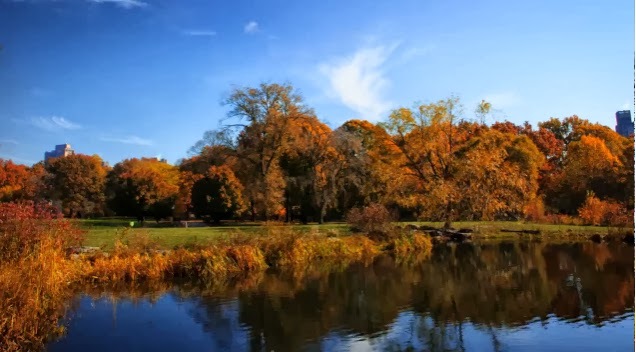 With 25 states across the country, from the Midwest to New England to the Piedmont, claiming significant autumn tourism seasons, Neufeld estimates 'leaf peepers' generate about $25 billion a year. 'That's pretty significant,' he said." 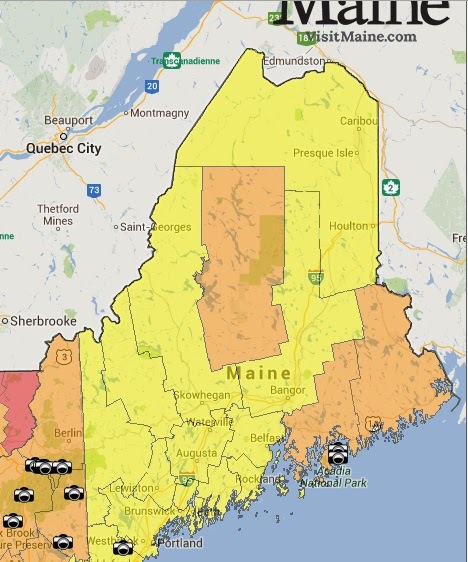 "It's also a beloved time of year, said Carolann Ouellette, director of the Maine Office of Tourism. 'For many people, it means so many things,' Ouellette said. 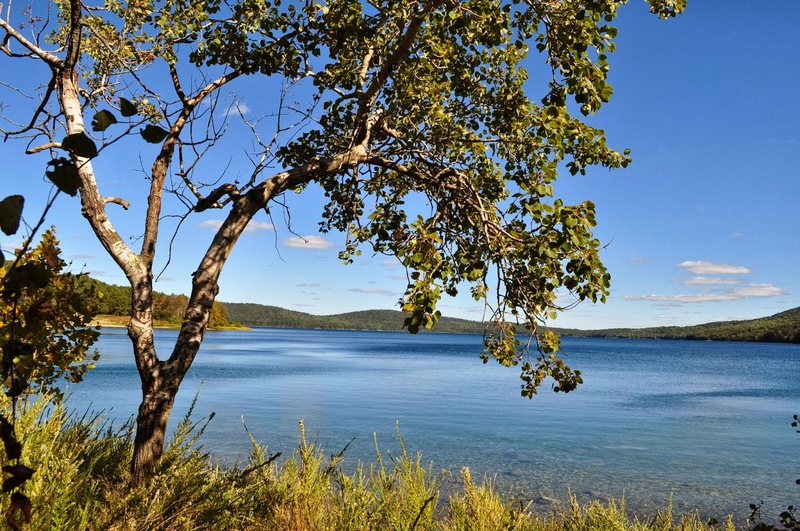 'It's a very energizing time for Maine and for our visitors.'" "And the shrinking of a seasonal tradition could stand as another climate warning, a (dull-colored) "canary in the coal mine," Neufeld said. 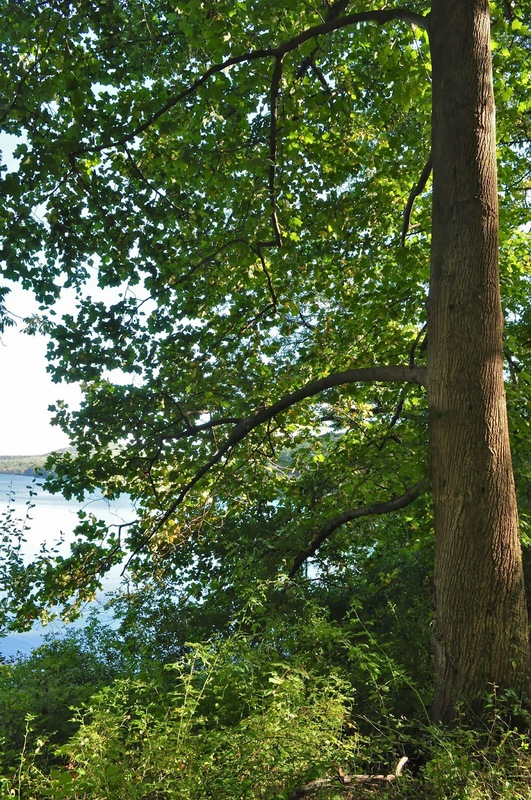 "A tree stressed is a symptom that something larger is wrong with our world," Neufeld wrote on his blog." 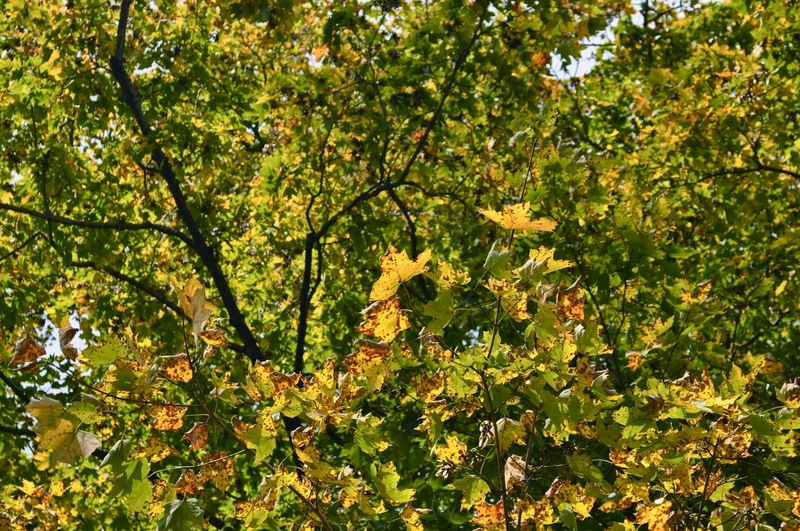 "Several studies have shown that fall color, on average, arrives later these days — and that delay correlates with warming temperatures." 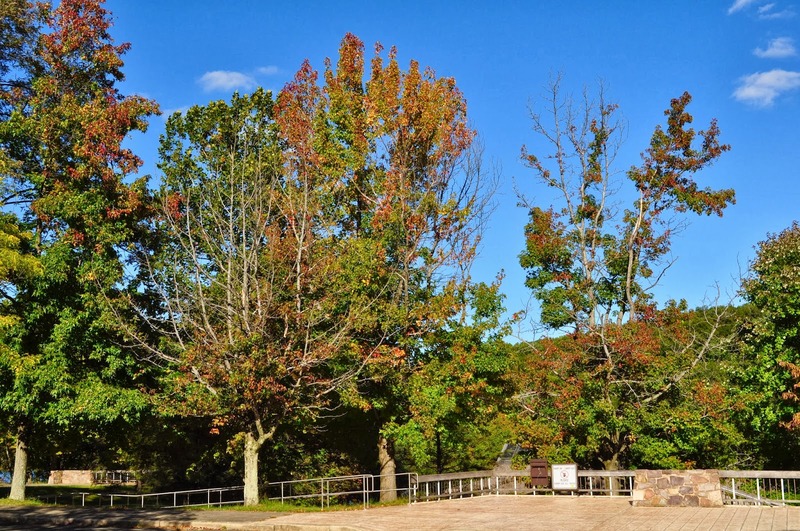 "A 23-year observational study at Harvard Forest has shown that fall hues now arrive three to five days later today, on average, than they did at the beginning of the study. 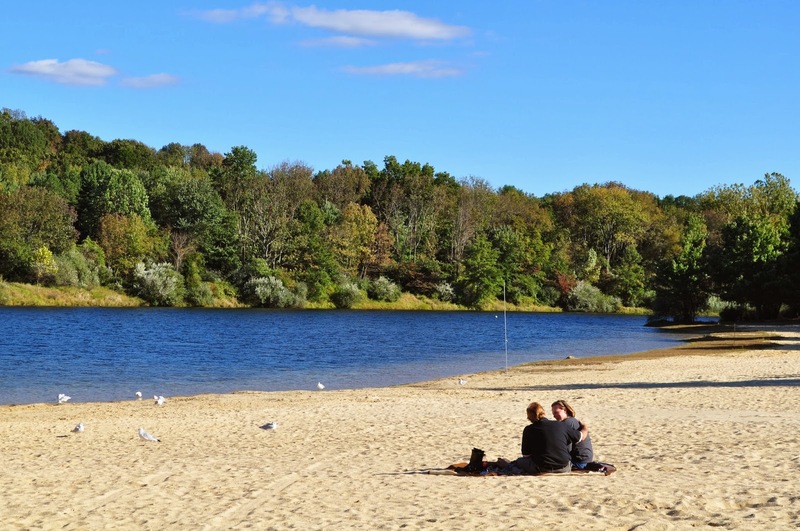 That correlates with an increase of about 2 degrees Fahrenheit (1.1 degrees Celsius) in average temperatures in the Northeast, said John O'Keefe, an emeritus professor at Harvard who collected the data." "'Should that pattern continue, by the middle of the century, we'd be at well over a week late' for fall color, O'Keefe said." 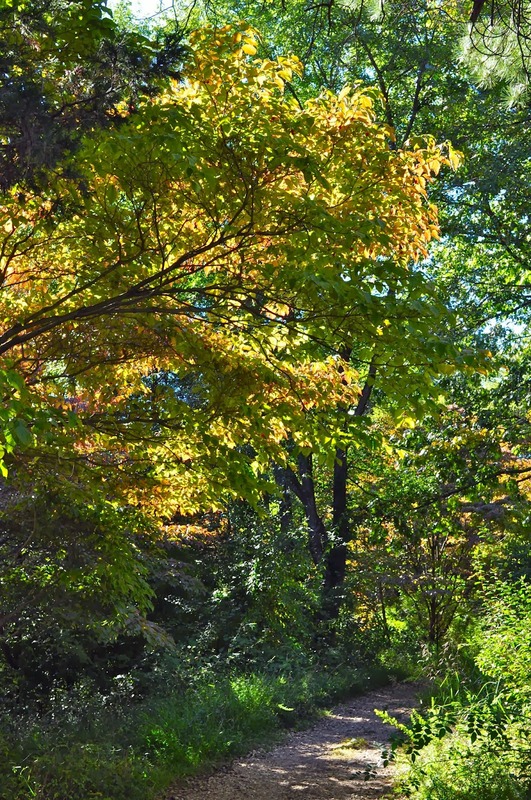 "Trees cue in on both day length and temperature when moving toward leaf 'senescence,' the process that produces fall color. Warmer fall days will make trees delay this process, Neufeld said. 'The trees say, "It's not getting colder, so I'll just keep my leaves,'" he said." "All else being equal, however, a later fall start might not do much harm to the leaf-peeping season, as global warming could also delay the frost and push off the end of fall, O'Keefe said." 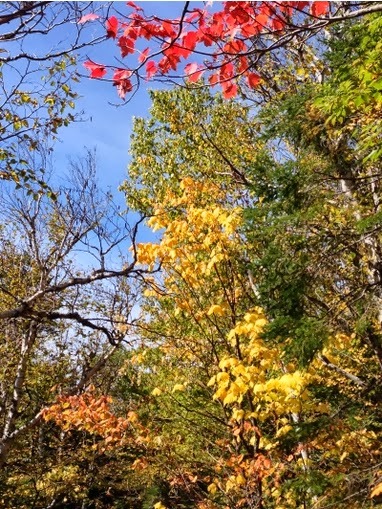 "Unfortunately, 'all else' is not equal, and studies like O'Keefe's fail to account for the ways climate change might rob New England of its red leaves, Neufeld said." 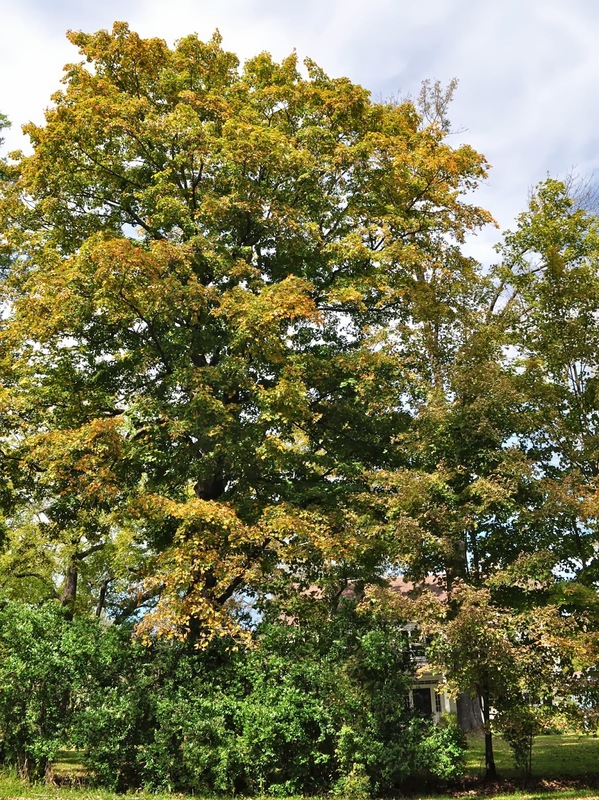 "For one thing, climate change will likely alter the 'suitable habitat' for many of the trees that bring fall color, particularly New England's prized sugar maples, 'one of the most important contributors to fall foliage,' O'Keefe said." 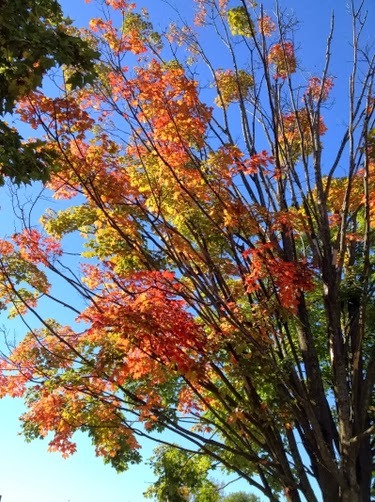 "Simulations show that climate change will push sugar maples from New England into Canada, reducing the suitable habitat for these trees in the United States by 40 to 60 percent by 2100, said Louis Iverson, a landscape ecologist with the U.S. Forest Service, whose 'Climate Change Tree Atlas' forecasted the shift." 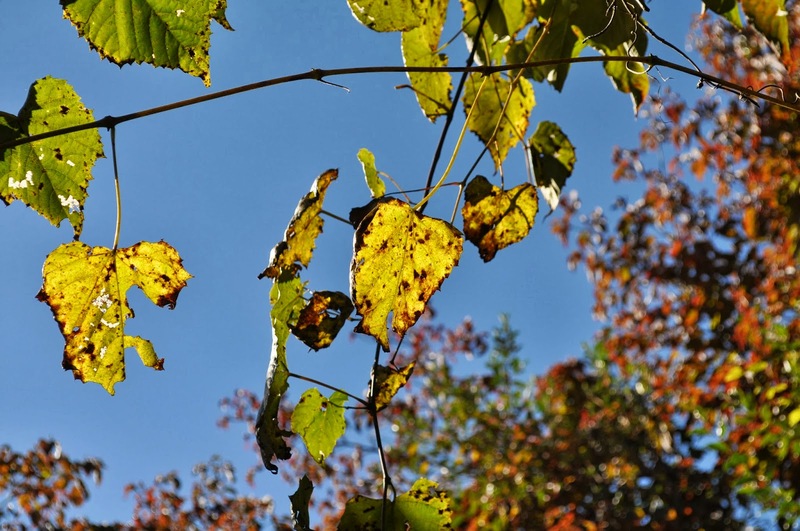 "Though trees that currently populate more Southern states might move in to fill that space, few, if any, can replicate the sugar maple's brilliant red hues, Iverson said. 'Certainly, there are some ashes that turn brownish,' he said. 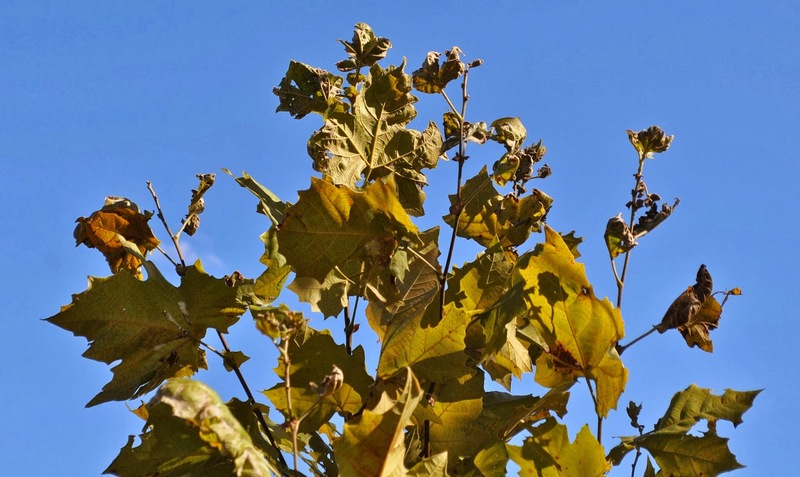 'I don't think there's anything that can replace the sugar maple.'" 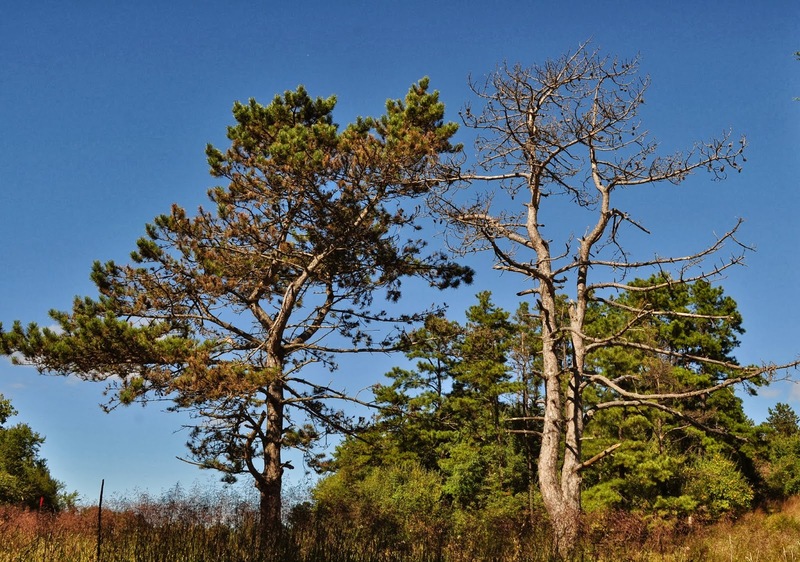 "Moreover, those Southern trees still may not thrive in the Northeast, Neufeld said. 'There might not be the right soil, even if the climate is right,' he said." 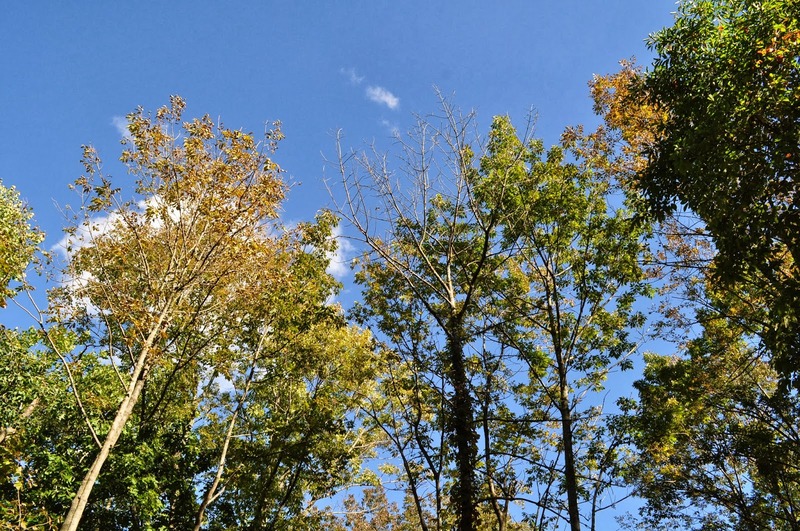 "Because it actually takes energy and nutrients to produce the red colors of fall, several other climate-related changes could dim autumn forests, Neufeld said." "Yellow colors are always present in the leaves, and simply become visible when the masking green of photosynthesis disappears. 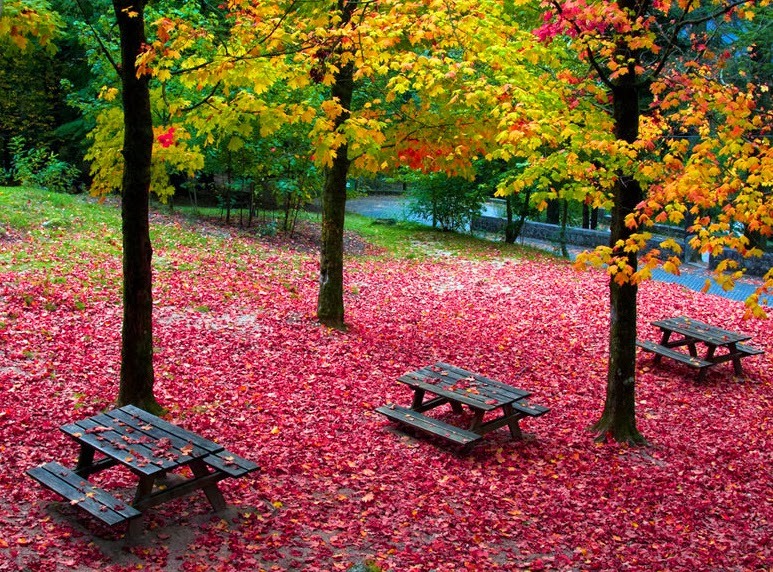 By contrast, trees actually manufacture their red pigment, or anthocyanin, in the autumn. (Orange colors arise through the interplay between red and yellow pigments.)" 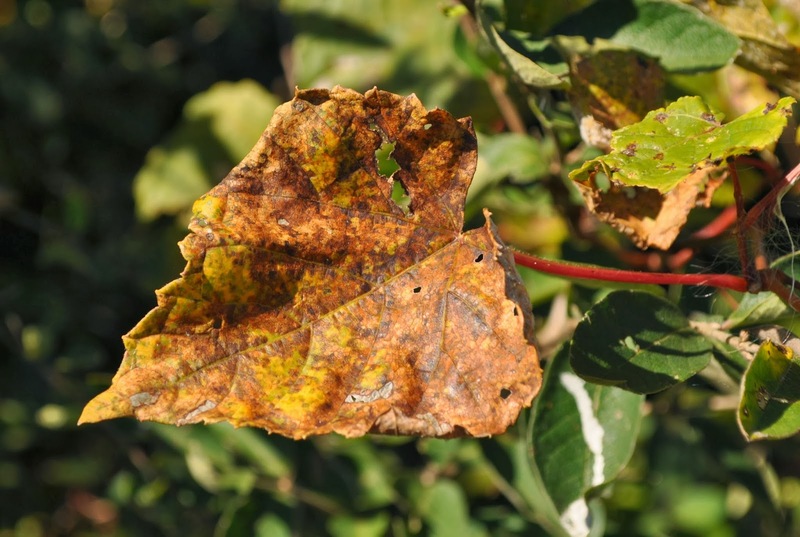 "Under current conditions, the fall signals of cool nights and sunny days prompt trees to temporarily store nutrients in their leaves in the form of red pigments. 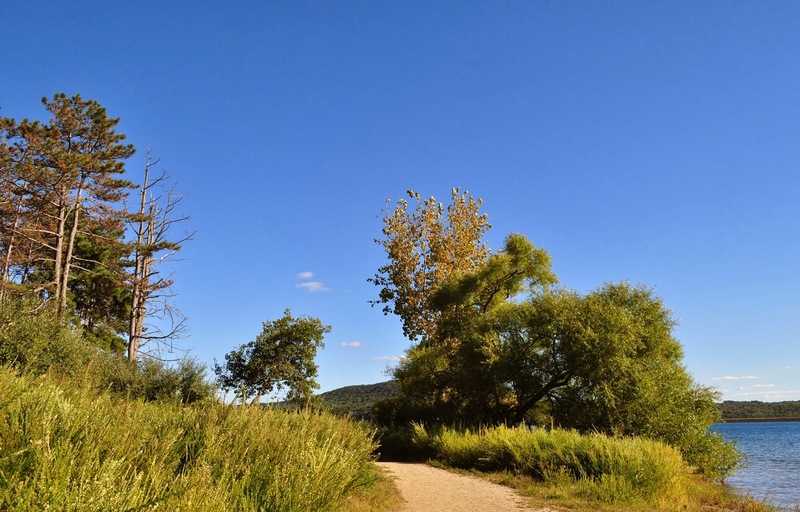 But if climate change pairs hotter nights with those shorter days, 'trees may [instead] burn off their sugar, or send it to the twigs,' Neufeld said. That means, the trees won't use that sugar to make red pigments." "Other factors, like increased cloud cover and precipitation, could also dim red colors by reducing photosynthesis, Neufeld said. Less photosynthesis means less sugar to fuel anthocyanin production." 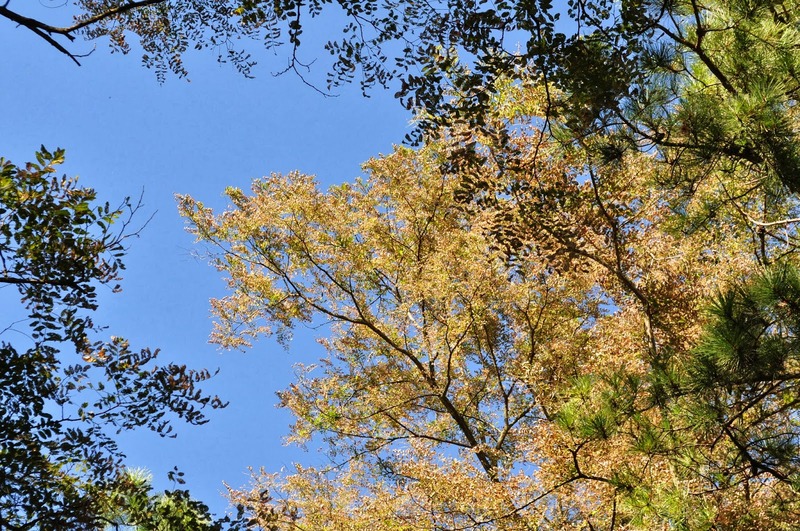 "Warming has already brought the hemlock wooly adelgid northward, devastating hemlock trees, Iverson said. 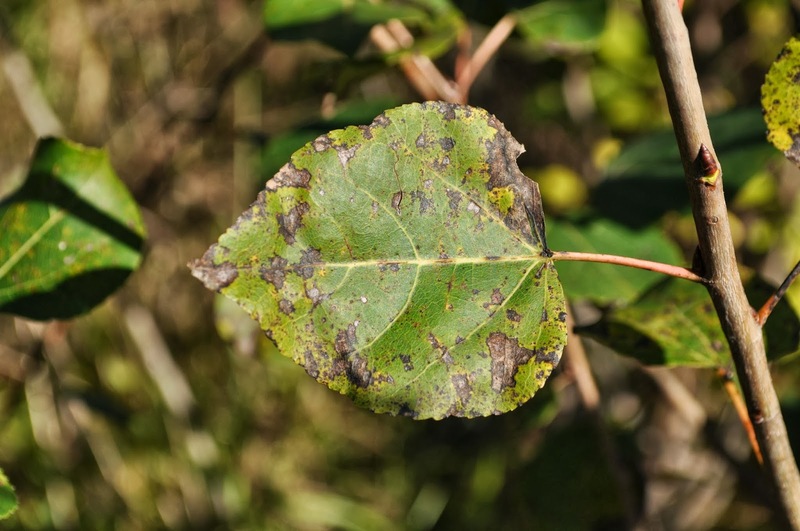 The adelgid is clearly a 'climate change-related pest, limited by temperature,' he said. 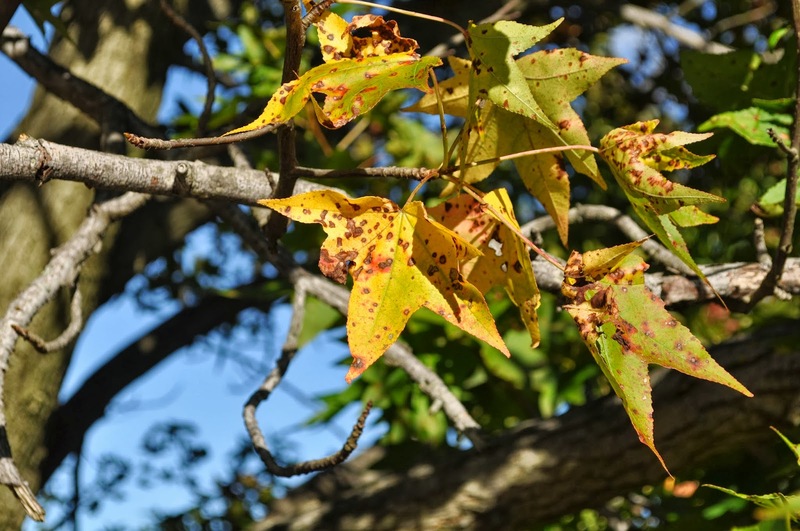 As climate change continues to alter habitats, sending insects and fungi into new regions, invasive species could have even more dramatic effects on fall trees, Neufeld said." 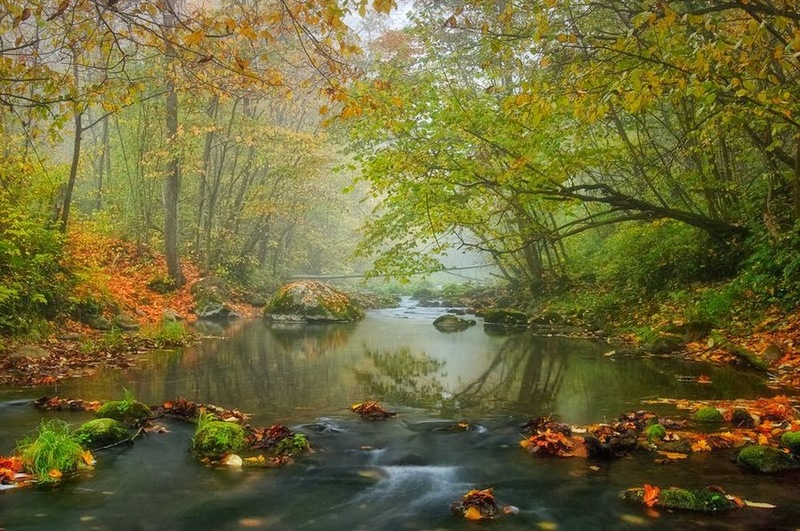 "A warming planet could have a host of other effects on fall foliage, too, he said. 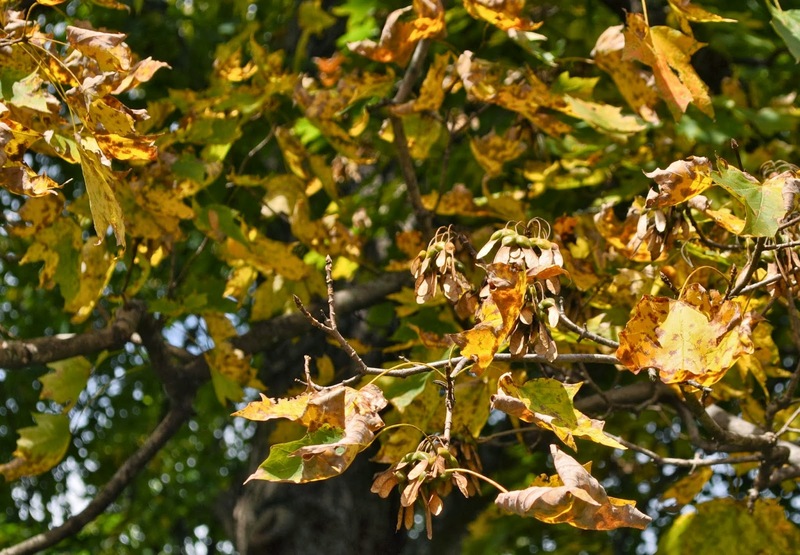 More frequent and more intense droughts, predicted by climate change models, will convince trees to simply drop their leaves before they have a chance to change hues, he said." 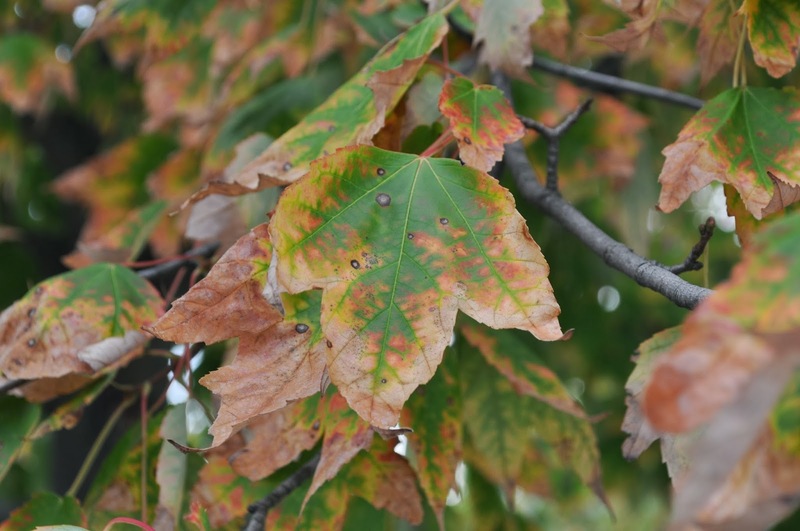 "Some of the effects of climate change on fall color may take awhile to become apparent. 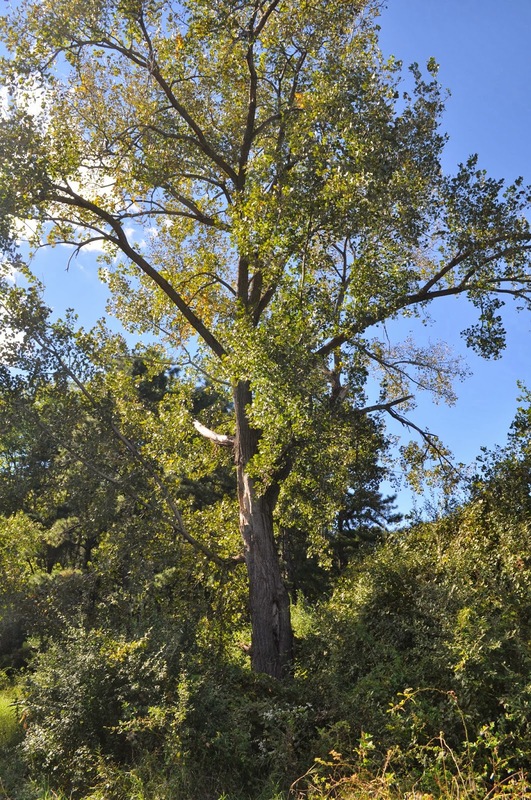 Older sugar maples, which can live 400 years, may still hang on in less-than-ideal conditions, Iverson said. 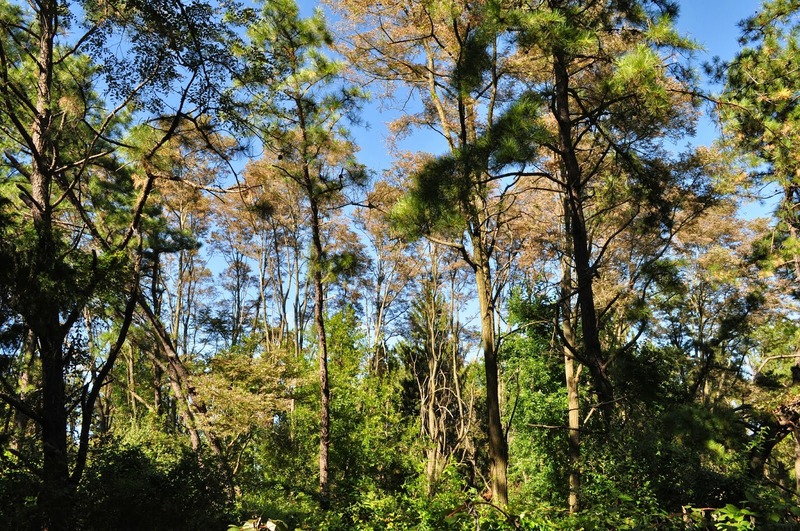 However, if and when catastrophes such as fires, hurricanes — or invasive species — wipe out large sections of trees, the new, warmer conditions will prevent their replacement, Iverson said." 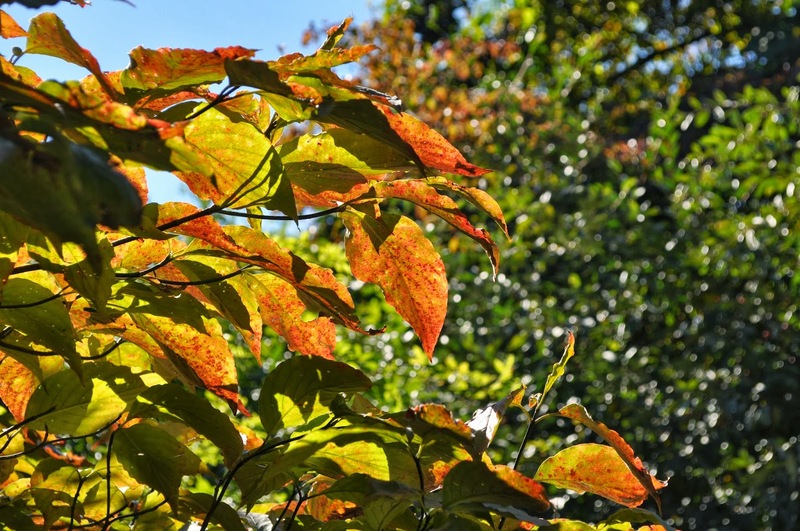 "In the meantime, leaf-peeping season looks strong for 2013. 'We're hearing that advance bookings are looking very positive,' Ouellette said. 'The season continues to see growth.'" "As you can see, lots of factors could disrupt fall color displays, which will make predictions difficult, but nonetheless, hardheaded scientist that I am, I will briefly run through a variety of scenarios we might expect to see, especially in the next two decades." 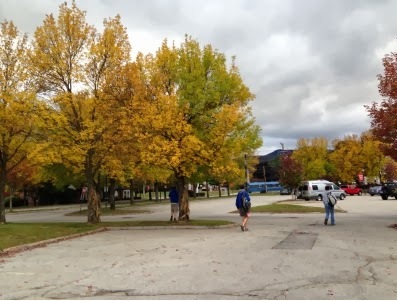 "But why would increased nitrogen reduce fall colors? 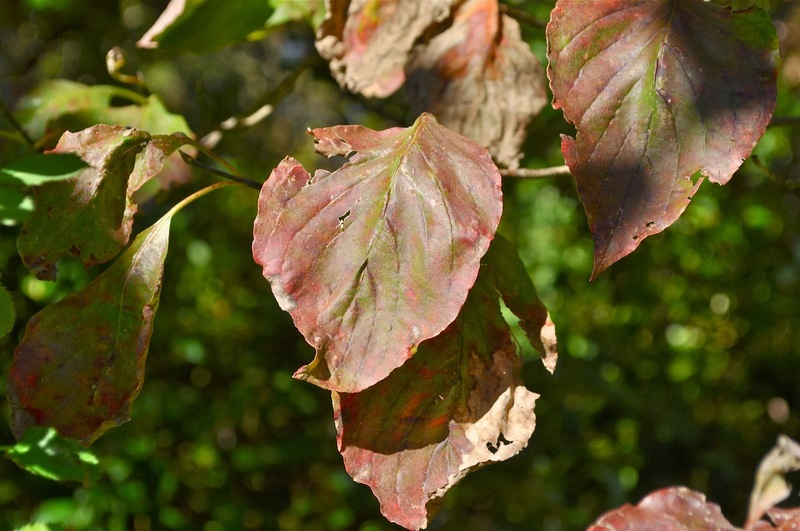 As I noted in a column last year, trees produce anthocyanins to help withdraw nutrients back into their twigs so they can use them for next year’s leaves. 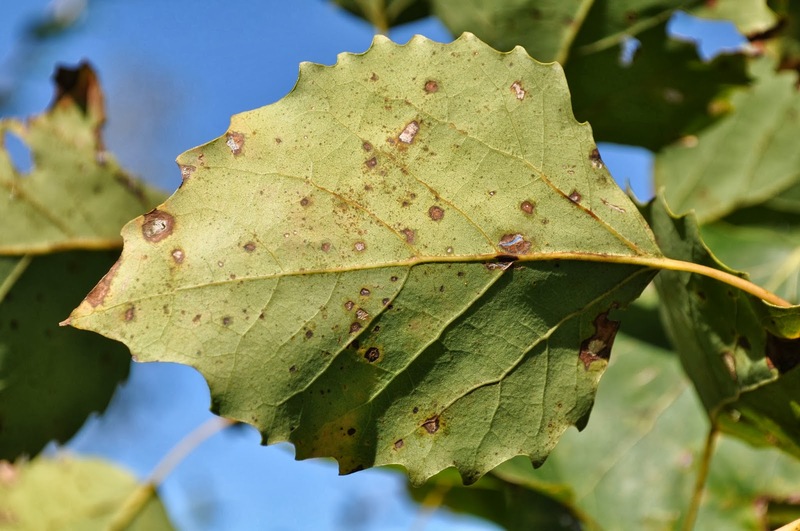 The fewer nutrients a tree has, the more precious they are, and so the more necessary it would be to protect their withdrawal system, which is what the anthocyanins do. So, trees that are slightly nutrient stressed, particularly those with low nitrogen, often have enhanced red color. 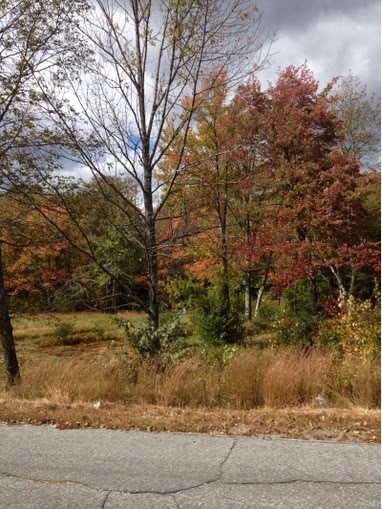 Paul Schaberg and his associates in the U.S. Forest Service in Vermont, have shown this with sugar maple. 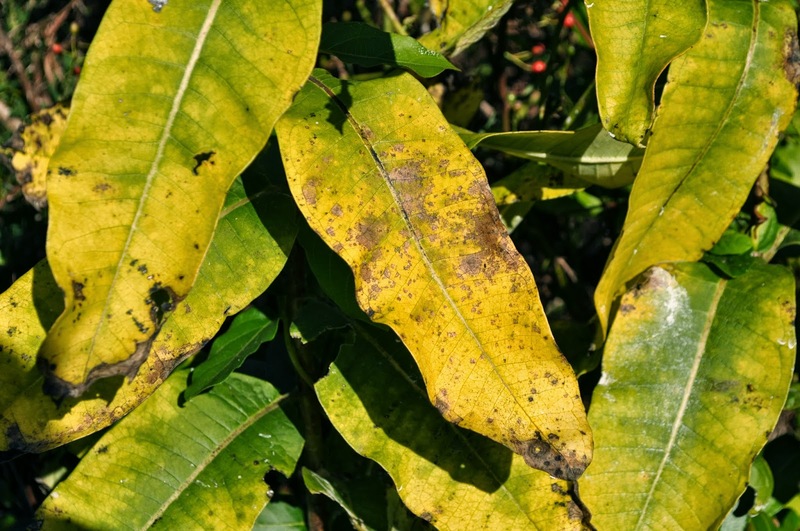 The key here is that when trees are stressed by low nitrogen, they tend to accumulate sugars in their leaves, and high sugar content is a trigger for anthocyanin production. So, in a future high nitrogen world, trees will be less stressed, and as a result, perhaps less red too. Conversely, if acidic deposition continues to leach nutrients from our soils, then this might counteract the additional nitrogen coming in from farming activities. 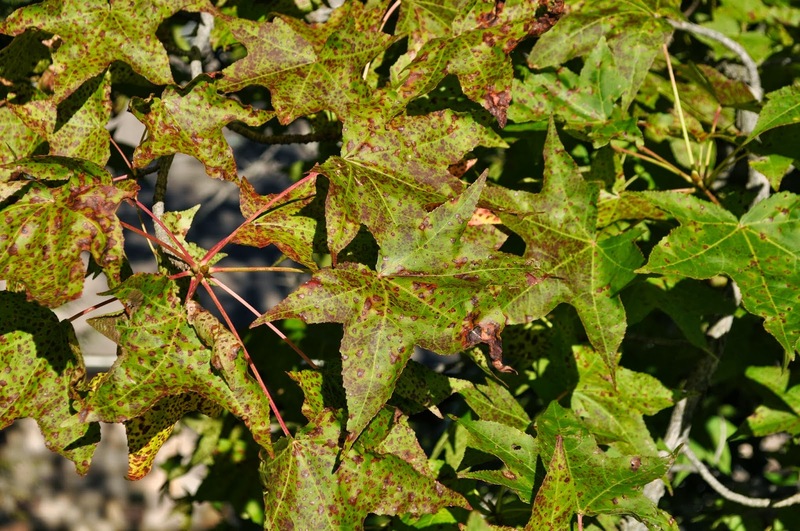 This could result in a stand-off between leaching and deposition, and perhaps no change in fall red coloration." 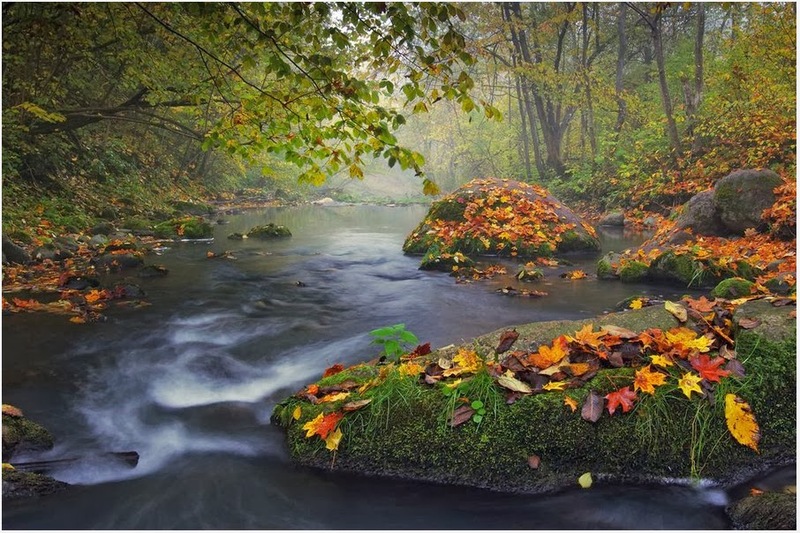 "The early leaf fall was because it was early everywhere this year due to cooler than normal temperatures. But ozone was not high this year in NJ so I doubt it's ozone. Could be bugs, disease, etc. and not just air pollution. 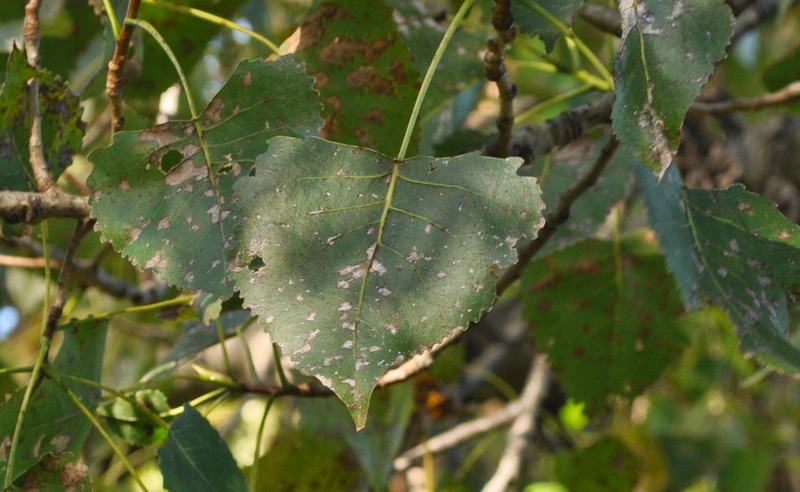 As for the lichens, based on our work at Rhinelander, we see that they respond strongly to light, so if the leaves come off the trees for whatever reason, and allow more light to get to the trunk and branches, you'll get more lichens. They don't hurt the tree though." Needless to say, I never bothered to write back to him. Beckage, B., B. Osborne, D. Gavin, C. Pucko, T. Siccama and T. Perkins. 2008. A rapid upward shift of a forest ecotone during 40 years of warming in the Green Mountains of Vermont. Proceedings of the National Academy of Sciences 105:4197-4202. "[This is an important paper. 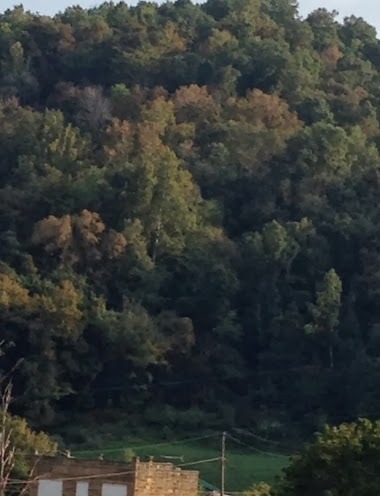 It shows how far upslope hardwood trees have migrated in just the past 40 years due to global warming, and more importantly, portends what may yet happen in the southern Appalachians, where warming has not yet been detected.]" 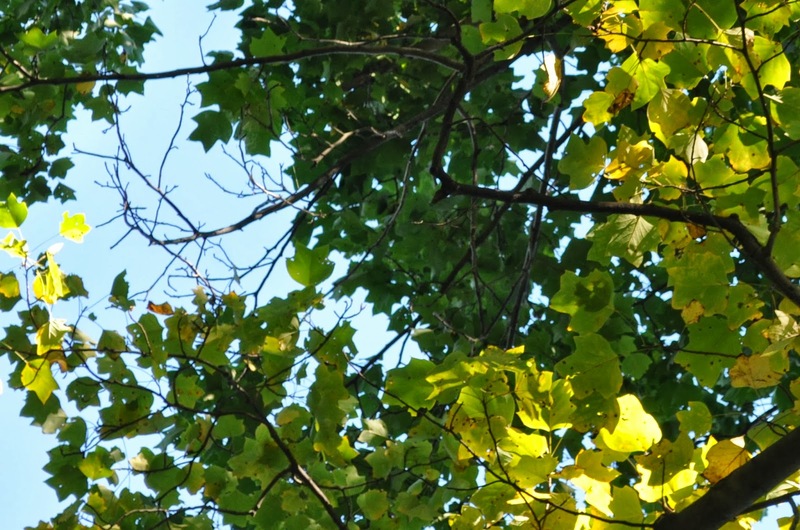 When the light is illuminating leaves they can still look quite lovely, because it obscures that lesions that result when pollution is absorbed. 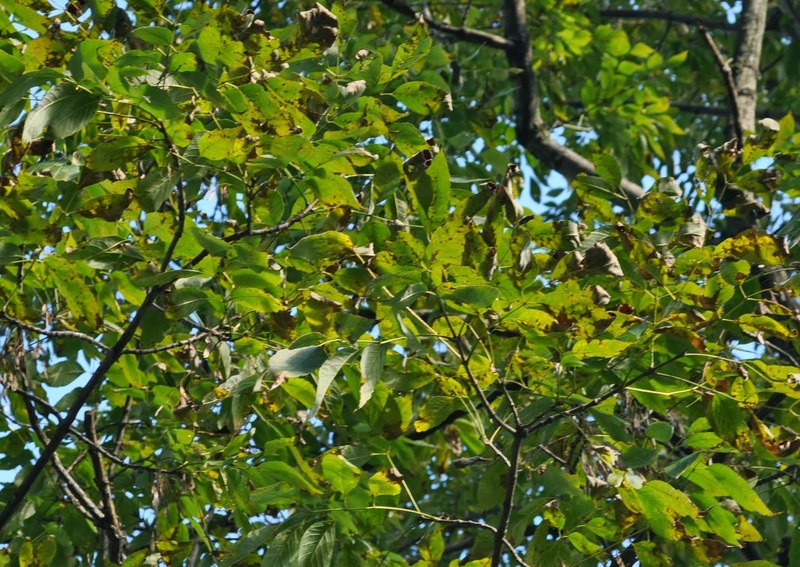 These are the same dogwood leaves looked at from above, where the necrotic tissue can be seen. While I was there I decided to check out the beach. Sweetgum trees line the access path. 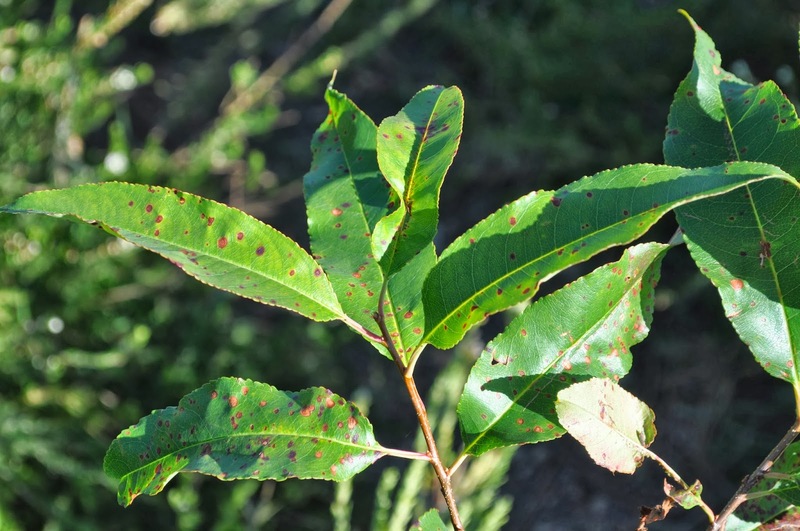 They are very thin already, and the leaves that remain are splotched and mottled. It's going to be a very interesting few weeks tallying the massacre. I may take a trip in early October to New England to document the carnage myself. And I'll be tracking the reporting from local television stations, which promote the season to appeal to tourists. They will be having a hard time explaining where all the colors went, even worse than last year. A lone couple sits on the beach of doom, blissfully oblivious to the dying trees on the bank across the water. Remember, the leaves are supposed to turn color on the tree, THEN fall to the ground where children can gather them into soft piles to jump in, and only AFTER dry up and turn brown - like in this old picture!